Join the Thousands of Savvy Guests Who Celebrated at Tucson's Most MAGICAL SHOW! STEP RIGHT UP and get ready to Laugh, Have Fun, and Celebrate a magical night out with Carnival of Illusion! 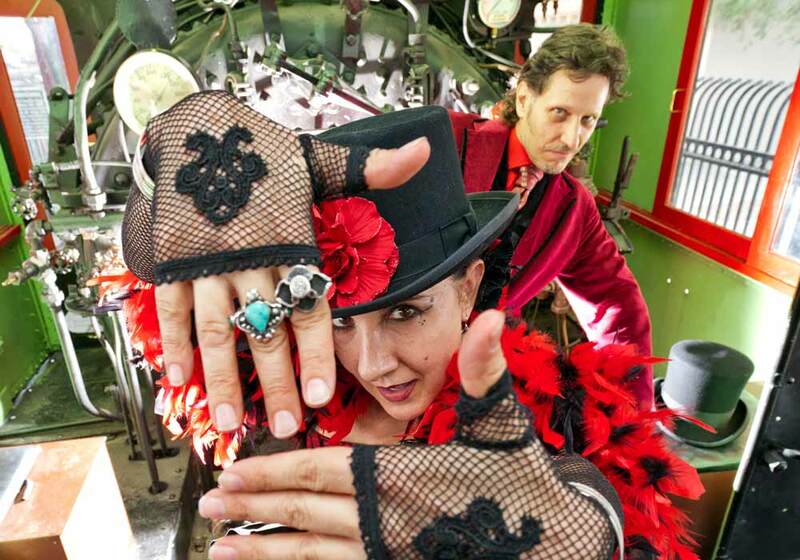 This top-rated Tucson attraction is "Revitalizing Magic" by blending their international travel theme with all the charms of a Vaudeville-inspired roadshow. 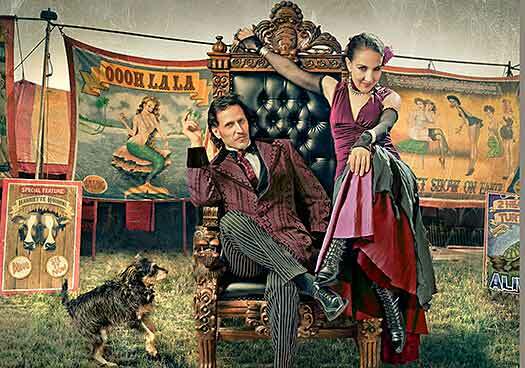 Carnival of Illusion is an evening of Magic, Mystery and OOOH La La! Get your tickets to the Best Show in Tucson! Carnival of Illusion is a Tucson treat for the special art of magic and illusion. A show that is sure to please whether you are on a date-night out or are bringing the whole family for a special occasion. Sarlot and Eyed have crafted a travel-themed illusion show with plenty of magic and surprise, as well as lots of fun audience participation. This is an up-close and personal show, catering to small audiences and an intimate experience. The Tucson location is at the Scottish Rite historical building downtown. There are plenty of personal touches like the opportunity to shake hands with the performers after the show. You'll also receive souvenir tickets stamped in silver ink to go along with your keepsake playbill. Any questions? Helpful employees are just a phone call away and love attending to those nagging little details. It is hard to pinpoint when the first conjurers and magicians began to make a trade out of illusion and disbelief. Some references are made on Egyptian papyrus about one who could take the head off a bird and reattach it with no ill effects. It is certain that the ancient Romans performed the timeless trick of Cups and Balls. After that magic fell into disrepute in the West, and it is not until the late 1800s that our modern idea of the magic show starts to be enjoyed and accepted. It is just this era that inspired Roland Sarlot and Susan Eyed in 2009 to reverse their artistic direction with their 1,000+ stage illusion show and introduced an intimate "magic parlour show." Their inspiration was based on the golden era of magic, and they began developing the show in 2004 when Roland was House Entertainer at Miraval, one of the world's top resorts. They called this new endeavor Carnival of Illusion, a Vaudeville-inspired theater show which played to 62 sold-out audiences its first season. Compared to the price of dinner and a movie best value out there. We also got to meet Roland and Susan after the show- delightful people who really love what they do. Thanks Carnival, we've told our friends in Phoenix it's worth the drive! We had a lovely time last night. We do not care to watch anything that is not uplifting and wholesome. We weren't sure what to expect with your show but we were not disappointed. It was delightful entertainment and we would not hesitate to recommend your show to others. Hi, my name is Cupcake and to the rest of my friends, Ruthie. I am 80 years old and It being my first time to see your show, I have to admit, I had the absolute best time in ages.